Children with moderate dental anxiety may only need mild sedatives to feel relaxed and at ease in the dental chair, but pediatric patients with intense fear or apprehension often need something stronger, especially when they require extensive dental work. 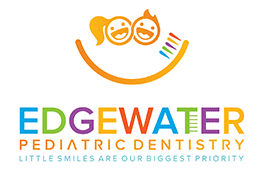 At Edgewater Pediatric Dentistry in Edgewater, New Jersey, board-certified pediatric dentist, Rosalie Nguyen, DMD, and her team offer general anesthesia for anxious children faced with dental surgery, as well as other special needs patients. To learn more, call the office or schedule an appointment online today. General anesthesia is a form of sedation that uses medication to induce a controlled state of unconsciousness that eliminates awareness, movement, and discomfort during an especially long or potentially difficult dental procedure. The main goal of general anesthesia is to produce a lack of sensation so your child won’t feel any pain or have any memory of the procedure. To achieve this pharmacologically induced lack of awareness, or “sleep,” for a dental procedure, a team of qualified and experienced experts administers the medications and monitors your child closely. Because general anesthesia should only be used in a specially equipped room, Dr. Nguyen and her team perform procedures that require general anesthesia at Hackensack University Medical Center in Hackensack, New Jersey. When is general anesthesia recommended? The team at Edgewater Pediatric Dentistry recommend general anesthesia for pediatric patients in a wide range of circumstances, the most often of which is when your child either requires an extensive amount of treatment or the procedure itself will be uncomfortable to tolerate in an awake state. Dr. Nguyen and her team also sometimes recommend general anesthesia for very young children who can’t yet cope with extensive dental work in a cooperative fashion. They may also suggest it for children with extreme dental phobias or special needs who would be most comfortable in a state of induced sleep, rather than a state of relaxed consciousness. The main goal of the team at Edgewater Pediatric Dentistry is to provide safe, exceptional dental care with the least amount of stress and anxiety possible. In some cases, this can only be achieved through the use of general anesthesia. Is general anesthesia safe for children? General anesthesia has been widely used by pediatric dentists for decades, and when administered by qualified and experienced providers it has an excellent safety record. Because Dr. Nguyen and her team only use general anesthesia in a hospital setting, you can expect it to be delivered by a qualified and experienced anesthesiologist who then closely monitors your child throughout the procedure. It’s also important your child follows the American Society of Anesthesiologists’ guidelines for preoperative fasting before receiving general anesthesia. This means your child won’t be able to eat any food for eight hours prior to their scheduled appointment. Water, apple juice, and other clear liquids are allowed up to two hours prior to treatment. To learn more about general anesthesia, call Edgewater Pediatric Dentistry or schedule an appointment online today.